Moving to a new apartment can be a stressful ordeal. Doing it in the middle of winter in Springfield, MO, it can be even more uncomfortable! 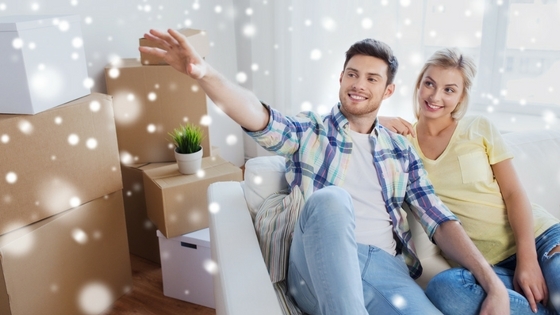 Today the TLC Property Management Blog has tips for moving in the winter. If you’re not moving, try these tips for whenever you are moving for an efficient trip. It’s always smart to start packing early and to be strategic in how you pack. Pack by room, putting larger, heavier items in boxes first and letting smaller items fill in the spaces. Pack delicate items together and mark the box as fragile. Write clearly what’s in each box and what room the box will go in for your convenience. And double wrap fragile items in protective material (cloths, newspaper, or towels), as some delicate items can become brittle in the cold. Pack items you’ll need to stay warm in the winter (blankets, coats, sweaters, or socks) separately or within easy reach so you can easily find them when you need them. Getting your car ready for the winter is an essential step for anyone. Double check the air pressure in your car’s tires, replace windshield wipers that leave streaks, check your car’s fluids, and keep handy a brush or scraper to remove snow or ice from your windshield. Keep your new apartment in tip-top shape by first putting down a welcome mat in the doorway. This minimizes the amount of snow or water tracked in, which will make relaxing in your new apartment so much better. You can also break down extra boxes to protect other areas of your home. And remember to turn off the heat. The opening and closing of doors will just make the furnace work harder, wasting money and energy and doing little to actually warm up the space. Protect yourself and your things. Make sure the sidewalk or driveway you’re using (at your old place and your new place) are shoveled and clear of ice or snow. Have a system for moving your boxes into your new apartment. While it may be tempting to take multiple boxes at once, take a few more trips so you can ensure you won’t slip or drop anything. And avoid leaving boxes in puddles or on top of ice or snow — you don’t want the liquids to soak through and ruin the contents of your boxes. What are your best moving tips? What are your best tips for getting around in the cold, often unpleasant weather? Let us know in the comments! Thanks for reading today’s blog.